By 2025, millennials will make up about 75 percent of the global workforce according to The Deloitte Millennial Survey. This means that companies need to begin adopting technology that better supports this generation’s lifestyle and preferred work environment. Outside of the office, millennials spend a large portion of their day using mobile technology with the prevalence of mobile banking, ride sharing applications and food delivery applications. 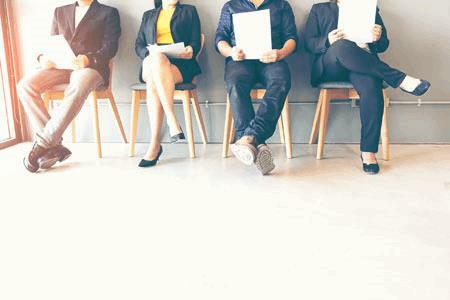 Moreover, a Ranstad survey on Millennials and Generation Z found that as digital natives, millennials are more attracted to jobs that reflect the same efficient standard of mobile connectivity. By introducing mobile capture into the modern-day workplace and integrating the technology into established document workflows, companies can attract millennial employees while generating faster workflows, increasing employee engagement, and exchanging data more securely. Companies with heavily paper-based workflows, like law firms and hospitals, have begun to convert their paper documents to digital files. This adds both security and productivity benefits. Time previously spent sorting through file cabinets to find a paper document has been significantly cut down. These digital documents are also accessible for on employees’ mobile devices if they are connected to the company’s cloud storage or network. This would mean employees can access files near instantaneously no matter their location. Consider a sales professional visiting a prospective client at their office. In these situations, sometimes it is vital to finalize paperwork and have contracts signed in short order, or risk losing the sale. In this scenario, mobile capture technology would enable the sales professional to access the digital file of a sales contract, insert editable fields, and fill out the contract electronically from his or her mobile device. Then, they could send the contract electronically to the potential client – ready for their signature. Another example: imagine on that same sales trip, the sales professionals receives an urgent call from an existing client wanting to make a purchase, but the order must be immediately processed. Away from the office, this would normally present a problem. However, mobile access would allow them fill out another contract electronically and quickly send to the client. Also, if any contracts are sent to the sales professional that require his or her signature, electronic signatures via mobile capture technology enable them to sign directly from their device. Mobile technology increases the efficiency of document workflows and expands the accessibility of organizations making previously challenging situations seamless and appealing to the next-generation workforce. The next-generation workforce is mobile. Once bound to a desk, millennials are attracted to job opportunities that offer flexibility of working remotely or require them to travel. According to a study… However, while providing employees the autonomy of working remotely, companies need to ensure that internal processes will be followed while employees are out of the office. For example, employees traveling for work will need to report their expenses for reimbursement. Normally, employees are only able to do this when they are in the office – having to scan their receipts and upload them to their company’s expense reporting software or go even further by delivering the paper receipts to an internal office. This creates challenges for employees having to keep track of numerous paper receipts that could easily be lost. The lag in delivery time also delays the workflow and ultimately reimbursement. However, mobile documentation allows them to take a picture of the receipt, convert the picture into a PDF, and route the file to the proper recipient within their company. This eliminates the need to carry receipts throughout the trip, and immediately begins the reimbursement process. Millennial employees value more efficient management of data and quicker communication. This not only increases the productivity of an organization but mitigates chances of complicated document workflows creating confusion. For millennials, who have come of age in the age of high-profile data breaches like Yahoo and Equifax, data security is a front-of-mind issue. Information is exchanged so quickly and frequently, that companies must invest extra resources to ensure their clients’ data is safeguarded. Printing is a common part of an average workday. Employees print everything from financial documents to client information, and while most data security initiatives focus on protecting digital data and reinforcing network perimeters, printing also puts data at risk and must not be overlooked in overall data security strategies. Often, paper documents are left at the printer or accidentally taken by another employee – putting data housed on the printed document at risk of leaking. Secure printing can reinforce document security by ensuring documents are only picked up by the intended, authorized employee. When integrated with mobile devices, employees can print documents directly from their mobile device. The print job is sent to a secure print queue where it is held. Then, employee can release the print job at a device of their choosing by authenticating their identity at the device using a unique identification code or scanning their employee ID. This eliminates the chance that printed data is accidently put at risk and gives employees peace of mind. Creating a more efficient, engaged, and safe workplace is necessary for companies looking to attract the next generation of employees. By embracing higher levels of connectivity, flexibility and mobility within the internal processes and document workflows, companies will be more efficient, foster higher employee satisfaction, and provide peace of mind for data security.